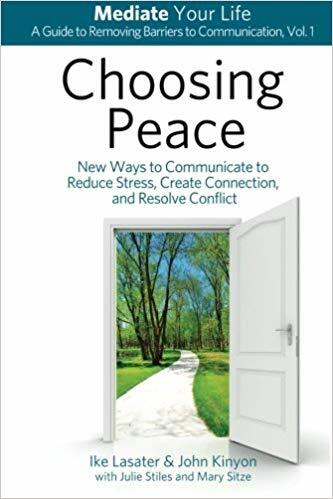 Ike Lasater is the co-founder of Mediate Your Life, a training company that helps people build better lives by changing how they respond to conflict. 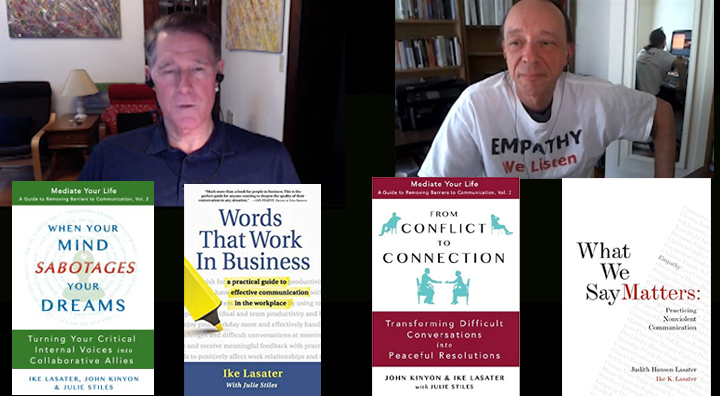 With extensive training in Nonviolent Communication, Ike teaches and coaches individuals and organizations in communication and conflict resolution skills and has trained thousands of people in the US, Europe, Asia, and Australia. He has served on the board of directors for the Center for Nonviolent Communication and the Association for Dispute Resolution of Northern California. Ike is a former trial attorney for 20 years who co-founded a thriving San Francisco law firm. At its core, the Mediate Your Life training is about listening to - and really hearing - ourselves and others. It is about increasing our capacity for empathy so that when triggered we can overcome the body's natural "fight-flight-freeze" reaction. 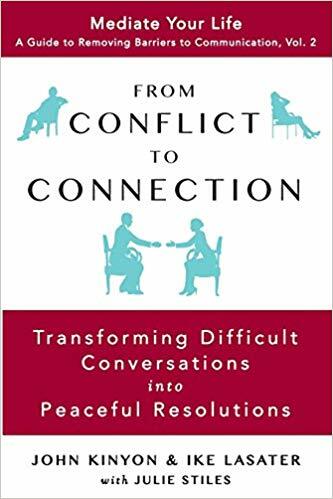 The process teaches how to replace conflict with true collaboration, new possibilities, and compassionate support. Have you ever stopped yourself from achieving a dream, even before you started? Was it because of critical internal voices giving you one or more reasons why you couldn't make it happen? 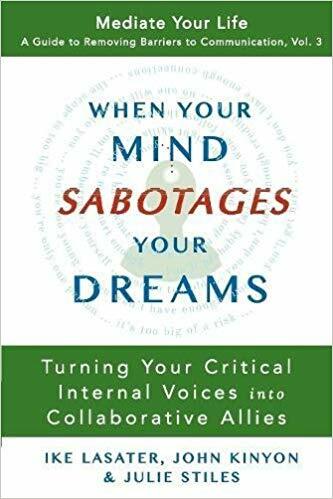 If so, you may be surprised to learn that those seemingly negative voices not only have a meaningful purpose, but that they can actually become your allies instead of your detractors. Everyone experiences conflict, and if you’re like most people, it is typically a source of stress in relationships. But what if you could have difficult conversations with ease and create agreements that actually work? Doing the enemy image process — giving yourself empathy for your judgments and doing silent empathy for the other person — can help you transform the intense emotional charge you might otherwise have going into the conversation, a charge that will tend to create exactly what you don’t want. What's your personal metaphor of what empathy is like? It's about people being heard to their satisfaction. Being heard the way that they want to be heard. So their need for empathy is being met. Then the metaphors like Marshall's surfing come in. Following, is a metaphor my friend John Kinyon and I use in our training. Can I follow, just half a step behind. If empathy was a type of land, what type of land would it be? Is it a mountaintop, a valley, is it Yosemite? something come out of being gotten. They're done. There's a kind of flowing out that takes place. the metaphors not working for me. Something that come up for me is a maintain lake. If you look at a mountain lake, you can see the forest and the mountains reflected, It a storm you'll see that reflected. If a bird fly's over, your see that reflected.